As food insecurity looms large at UBC, campus groups are trying to create a safety net for those falling through the hunger gap — but some are questioning if their efforts are enough. As food insecurity looms large at UBC, campus groups are trying to create a safety net for those falling through the hunger gap. But some are now questioning if their efforts are enough. AMS Food Bank Coordinator Simran Sidhu and her 14 volunteers are at the frontline of supporting students with severe food insecurity. “It breaks my heart when [I come] into the Food Bank after a day or two being away and the shelves are completely rinsed and there’s nothing left,” she said. Having a fully stocked food bank also helps maintain peace of mind for those accessing the service. Blake Smith, a PhD candidate in arts education and a former Food Bank client, recalled the anxiety she felt when the Food Bank was “kind of empty” during one of her visits a few years ago. “You say, ‘I don’t want to fill this one bag because there has to be enough for everybody,’” Smith said, noting that she knows of colleagues with children who use the service. Now in a new and permanent space in the Life Building’s basement though, the Food Bank will soon have a separate storage space for donations in anticipation of busy months. It will also install a flap to let people donate even when the service is closed, which Sidhu believes will decrease the anxiety around donating. “Sometimes people would come in and give me two bottles of shampoo and a loaf of bread and be like ‘I’m sorry, I know it’s not that much, but it’s all I have right now,’ which is totally fine,” she said. A much bigger source of contributions is a recent “unprecedented” funding match from UBC President Santa Ono, which was proposed by AMS Student Service Manager Piers Fleming. The President’s Office committed to contributing $10,000 per year for five years to the service’s food purchasing budget, which will go towards increasing the current stock and buying goods that fit different dietary restrictions. But as some students still shy away from the service due to the stigma associated with it or crave the convenience of ready-to-eat meals, other student organizations — like Sprouts and Agora — are filling the gaps. Sitting in the penthouse of Thea Koerner House, Sprouts President Sarah Siska and Vice-President Farron Rickerby talk animatedly about food insecurity between bites of curry bowls. In the background, people stream in and out for their $4 burgers or $1 cups of coffee while others gather around tables to do readings or catch up. It’s a normal lunch shift at Seedlings, an offshoot of Sprouts that focuses on affordable vegan and vegetarian food. “We’re able to charge like $4 so you can get a full, healthy meal and it can be very, very hard to do that,” Siska said, noting the benefit of being volunteer run despite its drawbacks during midterm seasons. Rickerby also stressed Sprouts’ ability to offer sustainably sourced and organic food — something that is usually not feasible within a student’s budget. “You can get like a big bag of chips for $4 and it’s not a meal, right?” said Siska. While Seedlings already counts almost 3,000 transactions per term since its 2013 opening, the team believes there is a lot more food to feed hungry students. 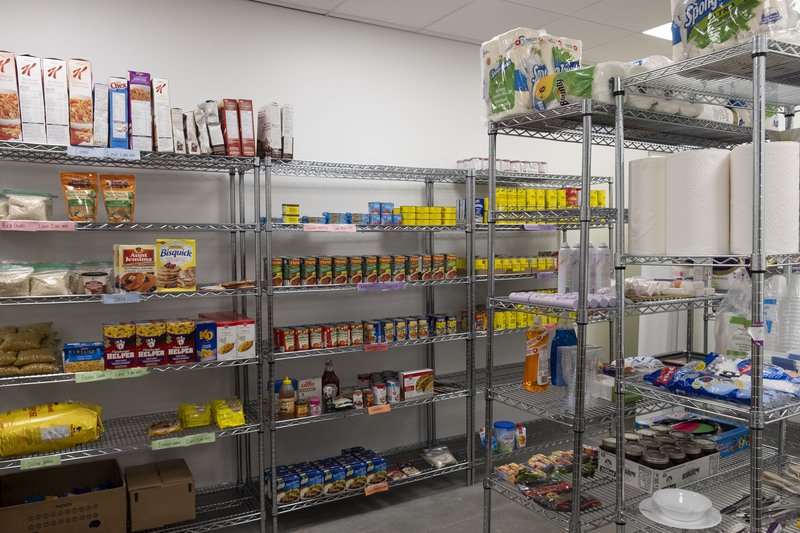 Their only limits are physical kitchen space and volunteer capacity, which they hope to solve with Sprouts’ new location in the Life Building’s basement at the end of term. But as these groups prepare to ramp up their support capacity, some are saying more needs to be done to tackle the issue at its core. “Food is often one of the first things to go when people have tuition to pay and rent … because that's seen as something that you can give up when it's not,” said Siska. Even with secured funding, student-run services can’t be the only safety net. “Given my short experience of just four months so far as [Food Bank] coordinator and a volunteer last year, I think food insecurity is something that needs to be addressed by not just by UBC but also the government in this area,” Sidhu said in a September interview. UBC itself is very aware of the issue. “It’s something that we see on a regular basis from our students who approach our advisors in financial need,” said Darran Fernandez, associate registrar and Enrolment Services’ director of student support and advising. According to him, if a student does not have money in their budget for food, UBC can provide them with emergency funds. The amount would be based on the student’s normal amount of required spending and factors like Vancouver’s food costs. “So if a graduate student were to approach us and they have a partner and two kids, what they would receive is different than if it was [a single] person,” he said. Fernandez added UBC also uses “proactive” support measures, such as bursary programs, to bridge the gap between a student’s loans and income and their actual needs, as well as financial planning sessions to help students budget ahead. But as standard bursaries are not available to international students, stop-gap measures remain the only choice for many who are hard-hit by food insecurity. Elsewhere on campus, UBC Food Services plans to explore a “swipe out hunger” program in January. A popular initiative amongst American universities, it allows students to donate their leftover meal dollars and those in need can use them anonymously. 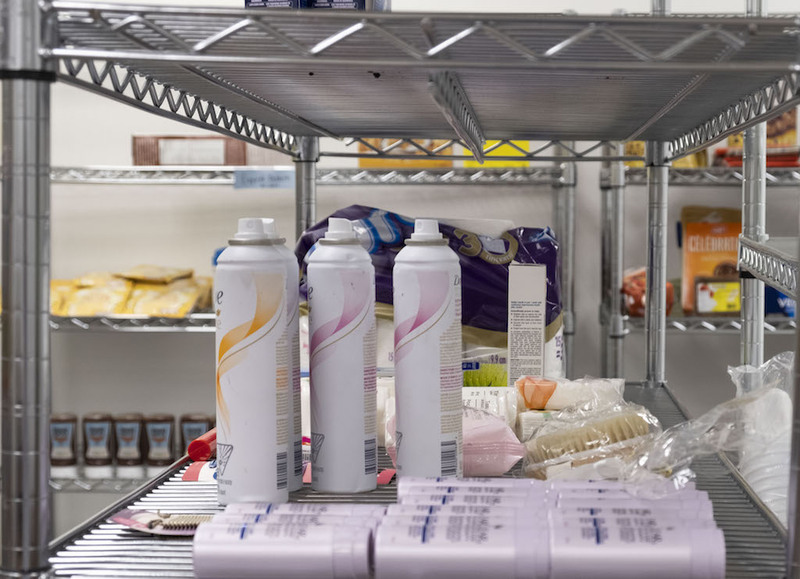 “It takes that stigma out of actually showing up at a food bank and [food insecure students] can just go through the line like anyone else with a meal card,” said Melissa Baker, manager of nutrition and wellbeing at UBC Student Housing and Hospitality Services. Baker added that there is also a focus on building students’ food skills to help them make nutritious meals on a limited budget. But could the university simply lower cost instead? Food Services Director Colin Moore believes the university already does “a pretty good job of providing affordable options,” especially when counting meal plan discounts. Beyond this optimism though, there are also a host of challenges with trying to reduce cost. Aside from “always battling” food cost inflation, Food Services is also required to bring in around $1 million in dividend annually to UBC. Instead, the consensus amongst the top staff members at Food Services is that the issue is much more far-reaching. “Income,” Baker responded when asked about the cause of food insecurity on campus, without missing a beat. The need to get to the systemic cause of food insecurity jumped out in almost all of the 14 interviews conducted for this piece. “I don’t want to see a focus on reactive response mechanisms,” said Dr. Candice Rideout, a senior instructor in UBC’s faculty of land and foods system (LFS). In 2017, she co-produced a SEEDS study that found 35 per cent of LFS undergraduate students had experienced mildly or moderately food insecure and that 10 per cent were in the severe category. In particular, she was critical of the complacency that stop-gap measures — of which food banks are unfortunately the face — create. “Do I want to see a food bank distributing throughout the campus so there’s easy access? I don’t,” Rideout said. Dr. Graham Riches, professor emeritus and director of the UBC School of Social Work between 1998 and 2008, echoed her criticism. Earlier this year, he wrote an opinion piece for The Tyee calling on BC Premier John Horgan to “end the need for [food banks]” instead of promoting them. He also published Food Bank Nations, a book that urges for the political will to implement the right to food. “Food banks have been called in the literature ‘successful failures’ — successful in that they are all over the place … but they are failures because the problems just keep growing,” Riches said. “Many universities miss the boat, higher education misses the boat on not caring enough what the quality of life is and what ways would people perform better if the financial stresses of getting through were taken off their plates completely,” Smith said. Ultimately, with food insecurity looming large at UBC, there is no denying that the university and campus groups are actively trying to create a safety net for those falling through the hunger gap. But what about trying to close the gap in the first place? As groups at UBC express the need to push beyond stop-gap solutions, changes at both university and provincial levels around affordability are at the core of their efforts to close the hunger gap. This is an ongoing story. If you have any information that you would like to share pertaining to it, please email Alex Nguyen at news@ubyssey.ca. Anonymity is an option that can be discussed.